The LA native was reportedly kicked off for being intoxicated on the flight. After an airport debacle with American Airlines on Monday night, YG had a few choice words for the travel company. 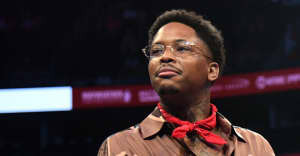 The LA native was scheduled to board a flight from Los Angeles to New York, but was reportedly kicked off "due to being intoxicated," TMZ reports. American Airline's Twitter handle responded to YG in a tweet, saying, “In our culture, every interaction with a customer or team member should be grounded in respect. Please meet us in DMs with more info." Watch the video above and check tweets below.